Last year, in the middle of my term at Raffles Press, I stopped believing that we could make any real change to the culture of discussion and honesty in the school. 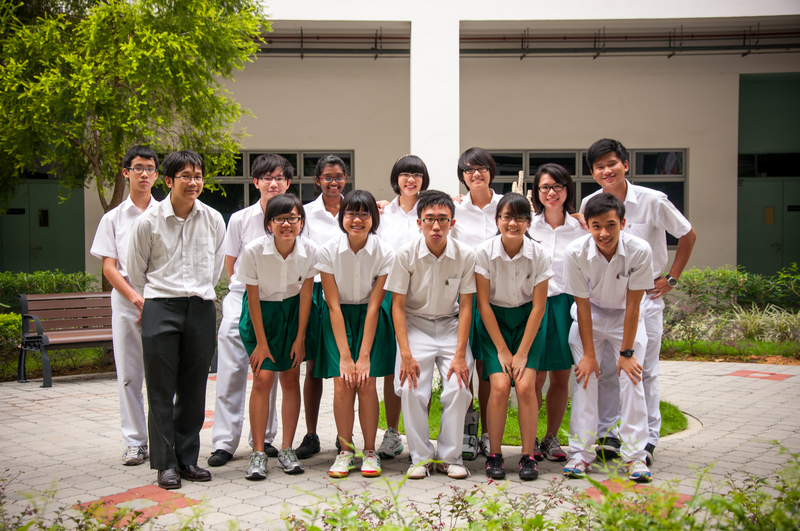 From experiences with school publications in the Raffles schools or our other secondary schools, many of us entered Raffles Press last year with some apprehension. However, it was a pleasant surprise to find that the CCA operated under no censorship policy, no history of suppression from above, and a liberal, independent-minded teacher, Mr Caleb Liu, who believed in a free press just as much as we did. We essentially started out from a tabula rasa, the Word of Mouth website having only been launched in April 2012. Like Jun Yan, I believed that our website could fill a niche – that, humble as it was at first, it could someday ‘rekindle the civic life of the school’. We felt that we could induce the school to think critically about our lives and the structures we exist in, that by writing articles, people could be persuaded to change their viewpoints or be spurred into action. We thought that by writing about the little aspects of school life that bothered us, we could create a multilateral sense of unity among and between students who otherwise had no other platform to have open, honest discussions about issues. This was the goal that kept us going throughout the year, through the necessary articles, the administrative work, and the valiant attempts at club bonding. But I don’t think we’ve written enough on this blank slate that was given to us; I think the free press has squandered its freedom. Word of Mouth: Print Edition was a good effort in investigative journalism, and it was the combined efforts of the entire club that made it thoughtful, well-substantiated, and ground-breaking, even, at parts. But it did not generate much real discussion on a school level, much less lead to any concrete policy change on the RD, or CCA closure. More importantly, this level of investigative journalism and probing into issues is not a norm for Word of Mouth. On a personal level, I know I haven’t even tried talking about the issues that really matter the most to me – feminism; animal rights; political liberty. Even the elephant in the room, grades, and the cult of ‘intelligence’, I have been unable to bring to the forefront of discourse. Our website, to put it bluntly, has far too few Op-Ed pieces. Those that are written and published are clean, balanced discussions, written in such a way that it is almost impossible to disagree. I think it’s telling that none of my articles have ever received a truly negative comment: in fact, it’s a disappointment. Why have we shied away from full discussion of the issues so obvious to us? In part, it might admittedly be intellectual inertia. Or the way we have managed the balance between the entertainment and the edification of our readers. While articles with a broad-based appeal, like satires of the school (Dame Lim Lai Cheng and RI Home Economics Institute), or ruminations on romantic relationships (Please Mind the Platform Gap: Relationships in RI/A Guide to Dating Models) are pretty much guaranteed thousands of hits, Op-Ed articles just don’t get as many clicks. Because of the immediate, quantifiable feedback that online views provides, we may have, subconsciously, tended towards the former rather than the latter. But another, more subtle and more pernicious factor at play here is our culture of self-censorship. This is hardly unique to Press, or the school; it’s simply endemic in Singapore. RJ Confessions has shown us that RI students do think deeply about things, and that mature, thoughtful discourse can take place, even on an anonymous forum. But it also shows us the very pragmatic reasons why this conversation seems to be limited to unnamed Facebook posts: for every topic that sweeps discussion each week, there is an almost equal number of posts demanding that the discussion end, because it will ‘never solve the issue’ and is ‘ultimately futile’. Talking about difficult issues is seen as unconstructive and inflammatory in our culture, a view upheld by law and maintained by society. Raffles Press has tried to chip away at this national inclination, but not enough. Our website has established itself as a source of information for students and prospective students (Platform Gap), and has ‘interesting’ points of view, but it isn’t seen as an arena for incisive analysis and debate, or a stimulus for change. I leave my tenure as Vice-President of Raffles Press with a sense of fulfilment, yes, and faith in the new Executive Committee, but also with regret and dissatisfaction that we could have, but did not do more. The writer is the outgoing Vice-President of Raffles Press. The views expressed are her own. While most of us were eagerly awaiting the weekend, the Touch Rugby girls were eagerly awaiting their final match against Nanyang Junior College. Having lost to them just a week earlier, they were all set to regain back what they had lost. Lu Xun came to realize that revolutionary literature could not change society in his later years. Any inflammatory post that incited action would not have been possible, even if the author wanted such an article to be published. Furthermore, it is questionable if thought-provoking posts would encourage students to demand changes to be made. Every country has its own political conditions and they are not necessarily in line with personal views of how society should be organized. Despair is perhaps the only sensible reaction that we can have, as we are merely students – with little power to shape institutions and structures. You wrote such a nice piece, something that many people should want, yet you have to say it’s your own views. This disappoints me because I’d like more people to think this way.